DIBS is launching Payment Window 2.0 on the DT platform which will replace all existing payment windows. Please click here for more information. 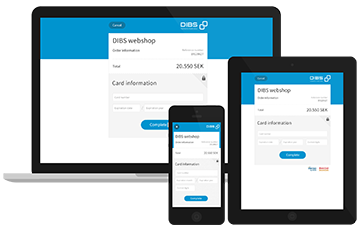 When using a hosted payment window, the customer gets redirected to DIBS' site when the payment should be made, and sent back to the webshop along with the output of the payment when finished. The interface is responsive, adjusting automatically to the screen size of the device accessing it, be it mobile, tablet or desktop computer.